Reed, Terry and Cummings, John. 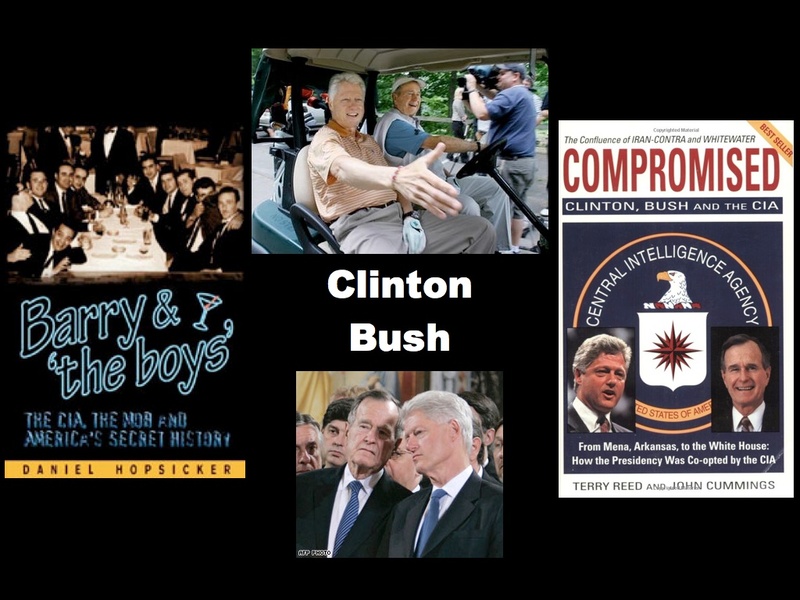 Compromised: Clinton, Bush and the CIA. New York: S.P.I. Books (Shapolsky Publishers), 1994. 556 pages. In the 1980s, Terry Reed was a veteran of air force intelligence in Vietnam who had since earned his pilot's license and was itching for adventure, so Oliver North recruited him as a covert operative in his contra support network. Reed trained contra pilots with Barry Seal in Arkansas, and helped Seal launder CIA money to FOBs (Friends of Billary) there. Later he was assigned to Mexico and associated with Felix Rodriguez, the CIA's contra point man at an airport in El Salvador. Reed had second thoughts after he discovered that planes flying south with U.S. arms for the contras were returning north with cocaine. In October, 1986 the entire effort came unglued when a cargo plane with a U.S. crew was shot down over Nicaragua. Reed knew too much, so he was set up on mail fraud charges to keep him out of trouble (he was eventually acquitted). Reed's story became intertwined with politics during the Clinton campaign of 1992. Time magazine, where FOB Strobe Talbott was an editor, smeared Reed in their April 20 issue. But Reed's credibility is also compromised by his own infatuation with covert cowboy ops -- apparently he still believes that Vietnam was a fun war that ended because bureaucrats in suits screwed it up. Nevertheless, this book shows convincingly that Whitewater is merely the tip of the banana in the Republic of Arkansas. Barry Seal's attorney - Richard Ben-Veniste - was a Democratic commissioner on the official 9/11 investigation. Ben-Veniste was a Democratic congressional staffer during the Clinton impeachment scandal, where he helped keep that investigation focused on Monica and not on Mena.